Morrisons cuts fuel to under 90p-a-litre | What Car? The supermarket fuel price war shows no signs of abating, with Morrisons cutting the price of a litre of petrol to below 90p. 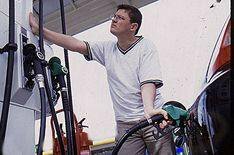 As a result, it is now selling petrol for 89.9p-a-litre and diesel for 105.9p the lowest prices for 18 months. Other supermarkets and fuel retailers have followed suit, and there is hope for further price cuts as the value of crude oil continues to fall. It now stands at $40 a barrel, under a third of its value during the summer peak.